July 6, 2017, 9:41 a.m.
By Ricardo Bilton @rbilton July 6, 2017, 9:41 a.m.
How do you discover new podcasts if Apple (and everyone else) keep recommending the same ones? One of the most common gripes about Apple among podcasters, particularly those with smaller audiences, is that the company hasn’t done enough to solve the industry’s discovery problem. While podcast listening continues to climb, it does so unevenly: Apple’s top podcasts charts are perpetually dominated by a shuffling, but largely identical, list of shows, all from established media brands: This American Life, Planet Money, How Stuff Works, Serial, etc. For smaller shows, it’s hard to break through. The “podcast discovery is broken” maxim, now frustratingly familiar, has spawned no shortage of efforts looking to solve it. A new podcast database and discovery site, Podchaser, which is billing itself as the “IMDb of podcasts,” is also taking a swing at the issue with what it says is a new spin: a focus on podcast episodes rather than entire shows, as well user-generated tagging and episode-level reviews. Podchaser, which is still somewhat barebones in its beta stage (it’s planning a public launch for October), will let users find popular and trending episodes among both smaller and established shows, offering an alternative to other discovery options. Other features in the product roadmap include the ability to follow specific hosts, producers, and even guests, IMDb-style, across shows. A tagging system will let users find shows through tags that describe a show’s topic (“indie gaming”), format (“casual conversation”), and other, more subjective criteria. Podchaser is far from the first attempt to solve the podcast discovery problem, and it’s unlikely to be the last. Various attempts have tried the issue from different angles. There’s the app Breaker, for example, which lets people view other users’ listening history to find new shows. OMNY takes a personalized approach, using users’ tastes to make recommendations. Overcast has a feature that lets users find trending podcasts among their Twitter friends. And then there’s the recently launched podcast directory site Podsearch, which lets people search for shows by keywords. These attempts have proliferated largely because Apple, despite its outsize command and influence over the direction of the podcasting industry, has been historically blasé about addressing many of the more persistent challenges in podcasting, particularly around discovery, analytics, and advertising. That’s changing, albeit in small increments. Last month, Apple announced it would finally offer podcast producers in-episode analytics, giving them (and, just as importantly, their advertisers) much more insight into their listeners’ habits. Podchaser says that its value proposition is unchanged in the wake of Apple’s announcement. 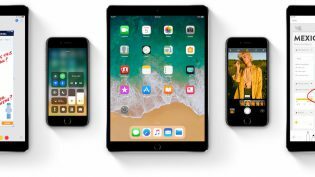 The site anticipates that it will be able to build Apple’s data into its own analytics product, which will also include episode-level reviews, listener data, and other information that it thinks podcast hosts will use to improve their shows and build their audiences. Despite discovery’s checkered past, Podchaser thinks it has staying power, thanks in large part to how it’s rolled out its product. The initial idea for the site emerged last year, when Davis asked members of the /r/podcasts subreddit why it was still so hard to find new podcast episodes. 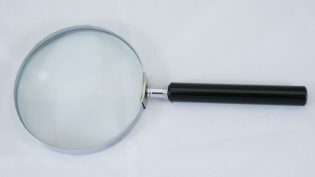 Many users agreed, and chimed in with their own ideas about what features such a platform should include. Some users even offered to help develop the product. Podchaser has taken much of that early input to heart, using many of those early contributions to develop the site’s current and future features. 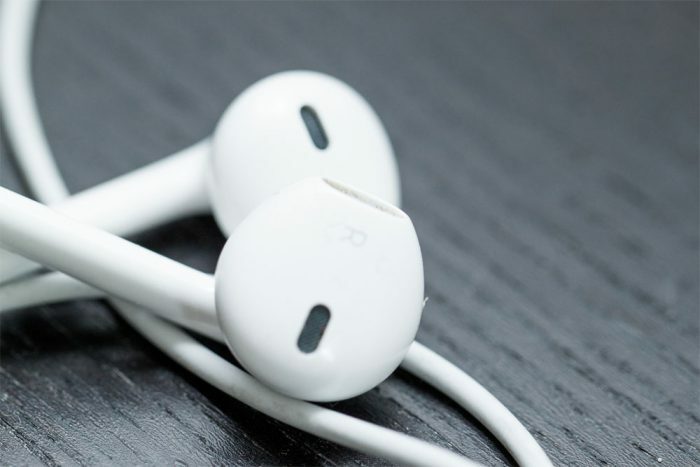 Photo of earpods by marthinshl used under a Creative Commons license. POSTED July 6, 2017, 9:41 a.m.
Bilton, Ricardo. "Podchaser, an “IMDb for podcasts,” is building a big tags-based database to help people discover shows." Nieman Journalism Lab. Nieman Foundation for Journalism at Harvard, 6 Jul. 2017. Web. 23 Apr. 2019. Bilton, Ricardo. "Podchaser, an “IMDb for podcasts,” is building a big tags-based database to help people discover shows." Nieman Journalism Lab. Last modified July 6, 2017. 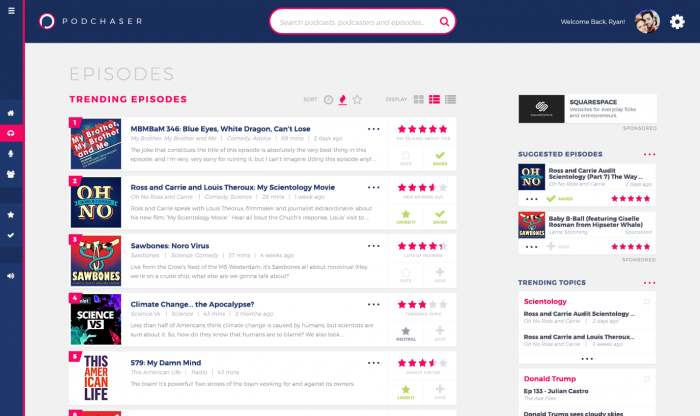 Accessed April 23, 2019. https://www.niemanlab.org/2017/07/podchaser-an-imdb-for-podcasts-is-building-a-big-tags-based-database-to-help-people-discover-shows/.